Reporting malpractice in the workplace is now not only acceptable, but expected. What do school staff need to know, and who can they trust? Few people would know the name of Dr Stephen Bolsin had he not become famous – some might say infamous – for making public knowledge the high mortality of babies following heart surgery at Bristol Royal Infirmary. His actions directly effected a change in procedure that eventually reduced the mortality rate. It also prompted the Kennedy Report, which enshrined the policy of ‘clinical governance’ for speciality hospitals. Hounded out of work by an angry NHS and resettled in Australia, Bolsin had become the NHS’s first whistleblower. Since Bolsin, the climate has changed. Not only is it now acceptable to raise concerns about malpractice, it is almost expected. Whistleblowing is not limited to health, it applies to all areas of public life, including education. The government make clear that ‘you’re a whistleblower if you’re a worker and you report certain types of wrongdoing. This will usually be something you’ve seen at work - though not always. The wrongdoing you disclose must be in the public interest. This means it must affect others, namely the general public. a member of a limited liability partnership (LLP) such as a board member for an academy. It is important to understand that not all complaints can be whistleblowing. For example, some local authorities have been responsible for some very dubious personnel practices, sacking headteachers without proper reasons or procedures in exchange for a pay-off and confidentiality clause. there is a belief that wrongdoing is being covered up. Personal grievances do not count as whistleblowing unless the case is in the public interest. Being ‘in the public interest’ is the key phrase. In February 2015, Sir Robert Francis QC published a report on poor care practice in the NHS. It indicated that, even at that time, NHS staff still found it difficult to report their concerns and could be penalised for doing so. Although written about the NHS, the report’s findings have been applied to other fields, including those covered by Working together to safeguard children. The report sets out its principles in five ‘themes’. Safeguarding expert Andrew Hall has pointed out that, although written in a health context, four of these can be adopted by a school for similar whistleblowing arrangements. Theme 1: the need for culture change where people feel free from bullying and there is an openness to raising concerns. Theme 2: the need for improved handling of cases to ensure prompt, blame-free handling of concerns. Theme 3: the need for measures to support good practice so that those who raise concerns are supported, accountability is transparent and everyone receives training. Theme 4: the need for particular measures for vulnerable groups so everyone in the school has the right to raise a concern, whoever they are. Every maintained school should have a whistleblowing policy. This is not simply a matter of personnel practice: it is an essential component of safeguarding. After all, if any of the whistleblowing circumstances apply, the safety and welfare of pupils could be compromised. Optimus members can download and adapt our whistleblowing model policy to explain what whistleblowing is and who to contact to raise a concern. Schools should identify a member of staff and, where applicable, a governor to hear concerns. They should also identify the appropriate contact from the local authority (LA). Concerns can be reported to the school leadership or to the LA or trust. If for any reason this is not an option, a report can be made to a ‘prescribed person’. For education, there are three prescribed people. For matters relating to the welfare of children provided with accommodation by boarding schools, colleges and residential special schools; the chief inspector of children’s services. For matters covered by the Apprenticeships, Skills, Children and Learning Act 2009; Ofqual. For matters relating to the educational institutions; the secretary of state for education, Justine Greening. For reporting other matters, the government has published a full list of prescribed people. Alternatively, a whistleblower can talk to their solicitor or to their MP. Whistleblowing may be carried out anonymously but, in that case, proceedings are unlikely to go any further. However, the informant can request confidentiality, in which case the person or body to whom the report is made is expected to make every effort to safeguard their identity. 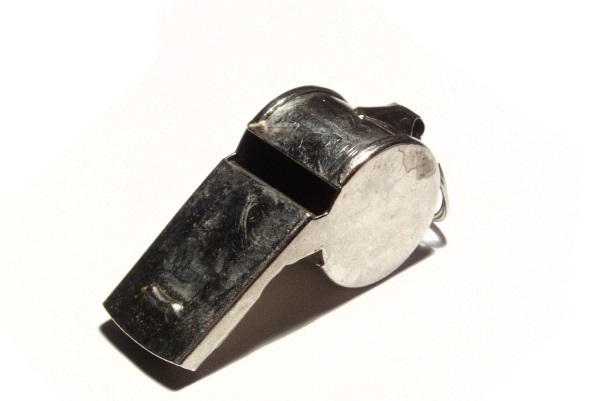 If, after blowing the whistle, an employee feels they have been treated unfairly, there are actions they can take. For further information, they should contact the Advisory, Conciliation and Arbitration Service (Acas). A case of unfair dismissal must be raised within three months. If students are put at risk, then there is a case for whistleblowing. If not, it is likely to be a grievance, for which there are separate procedures.